Gov. 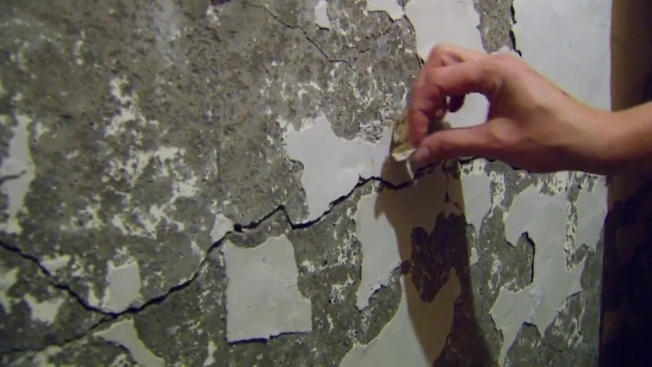 Dannel Malloy has announced plans for $5 million in state funding to go toward conducting foundation testing for homes in northeastern Connecticut. The topic will be placed on the agenda of a meeting of the State Bond Commission. A number of homes in the area have suffered from crumbling foundations – what a study concluded is the result of a mineral called pyrrohtite in the concrete that causes foundations to crack and crumble years after being poured. The NBC Connecticut Troubleshooters first began reporting on the problem in July 2015. The state funding will go toward testing and visual inspections of foundations to better understand the problem and offset the cost of testing for homeowners. The Connecticut Department of Housing is also planning to allocate $1 million in federal grant funding to help property owners with the cost. Under the governor’s plan, homeowners are eligible for up to $2,000 back for testing of two core samples within their home. Homeowners will also be eligible for up to $400 back for visual testing by a professional engineer. Applicants must have homes built in or after 1983 and be within a 20-mile radius of JJ Mottes Concrete Company in Stafford Springs. Mottes has been at the center of the state’s investigation. Over the past year and a half, hundreds of homeowners across Hartford, Tolland and Windham Counties have discovered they have crumbling foundations. Every one who's either spoken to NBC Connecticut Troubleshooters or has filed a complaint with the state, that knows the source of the concrete, said it's from J.J. Mottes. An attorney for JJ Mottes tells the NBC Connecticut Troubleshooters the company has gone out of business. The governor is working with the Capitol Region Council of Governments to administer the funding to homeowners.